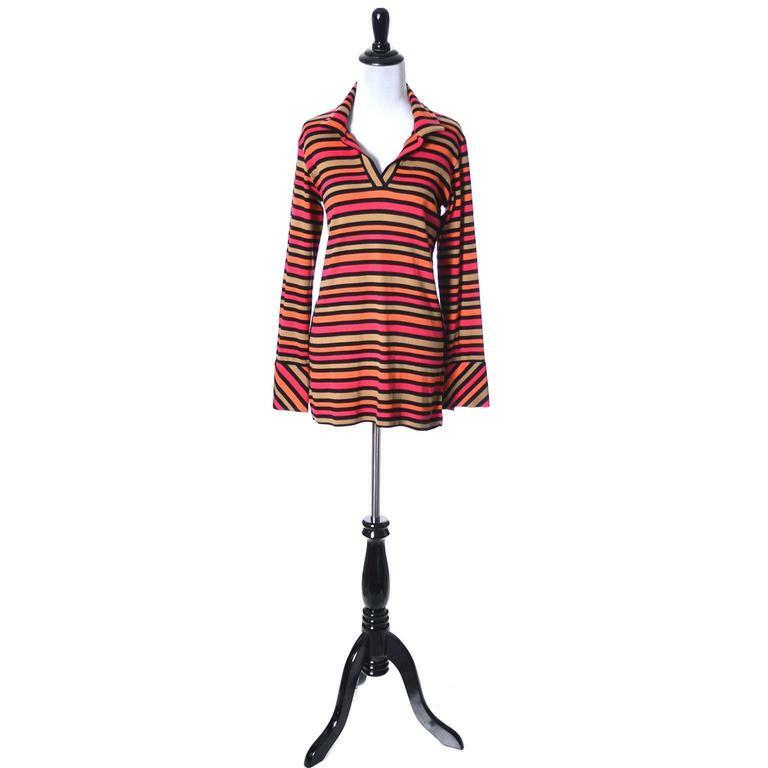 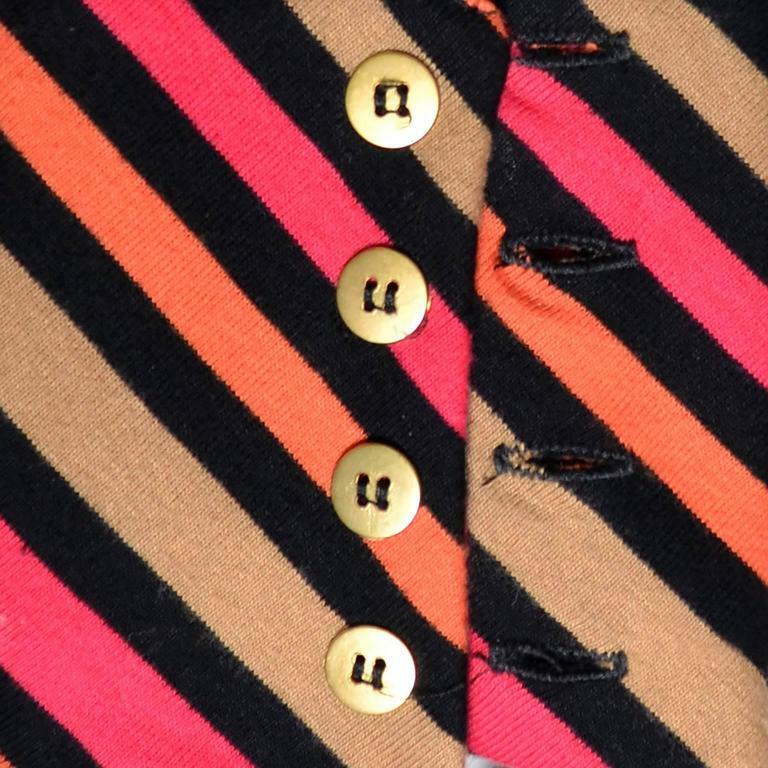 This is a 2 piece vintage Sonia Rykiel Paris Striped 100% cotton ensemble that includes a long sleeved top and coordinating 1/2 top to tie around your neck! 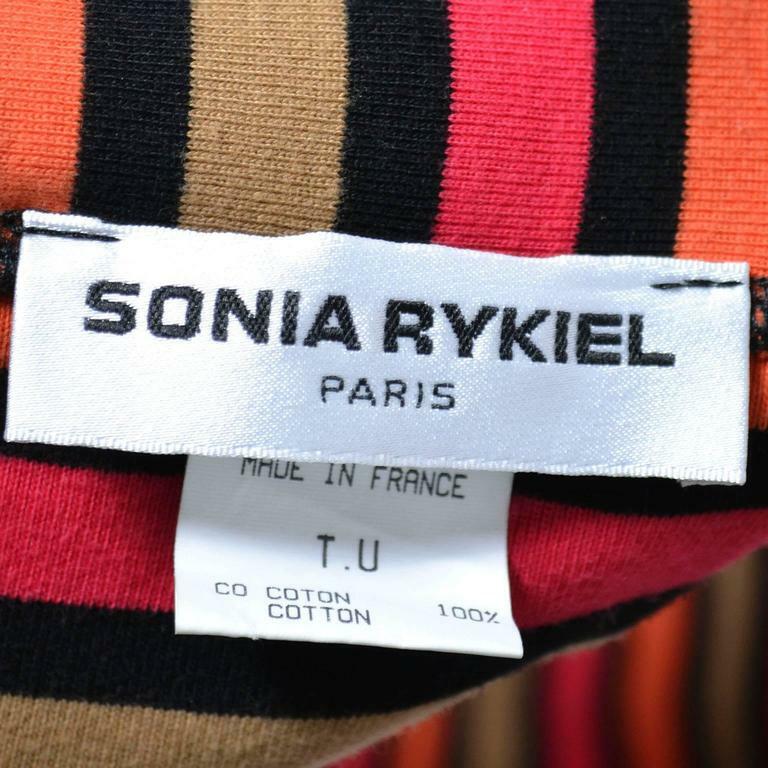 Sonia Rykiel always designs things in such a unique "Sonia" way and this two piece set is a perfect example of that! 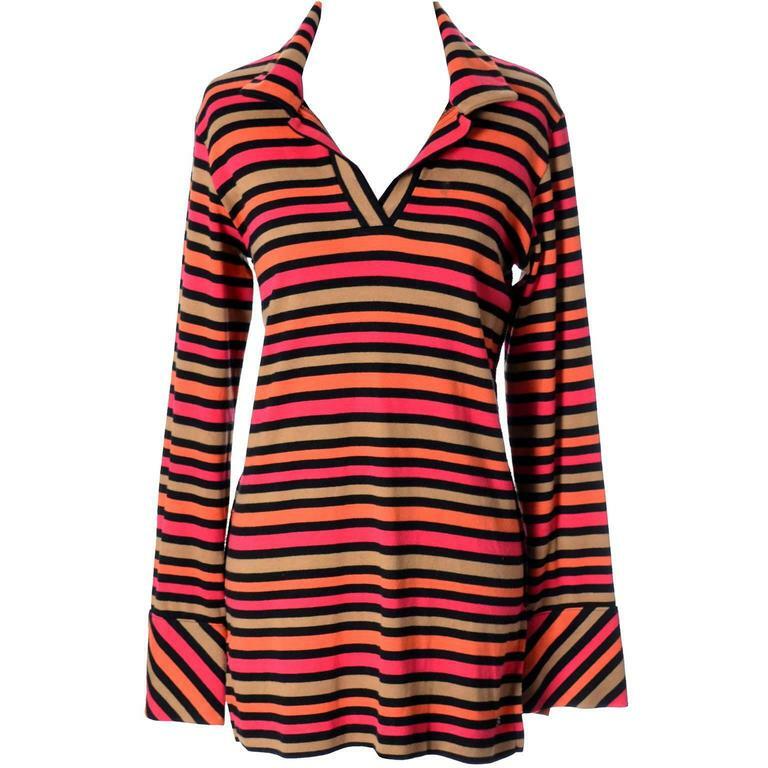 The long sleeved top has pretty metal buttons at the flared cuffs and external seams on the sleeves, a signature Sonia Rykiel touch! 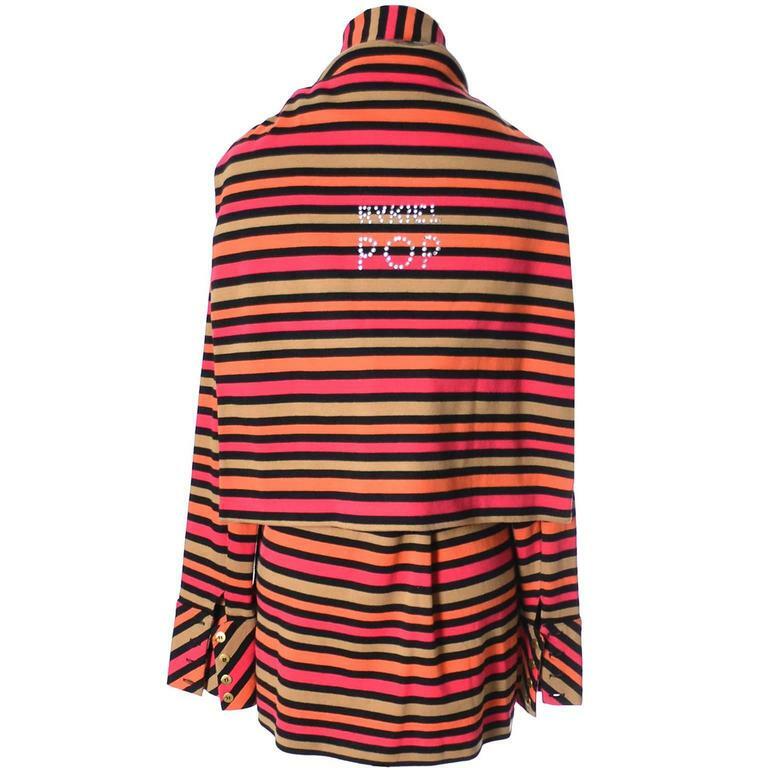 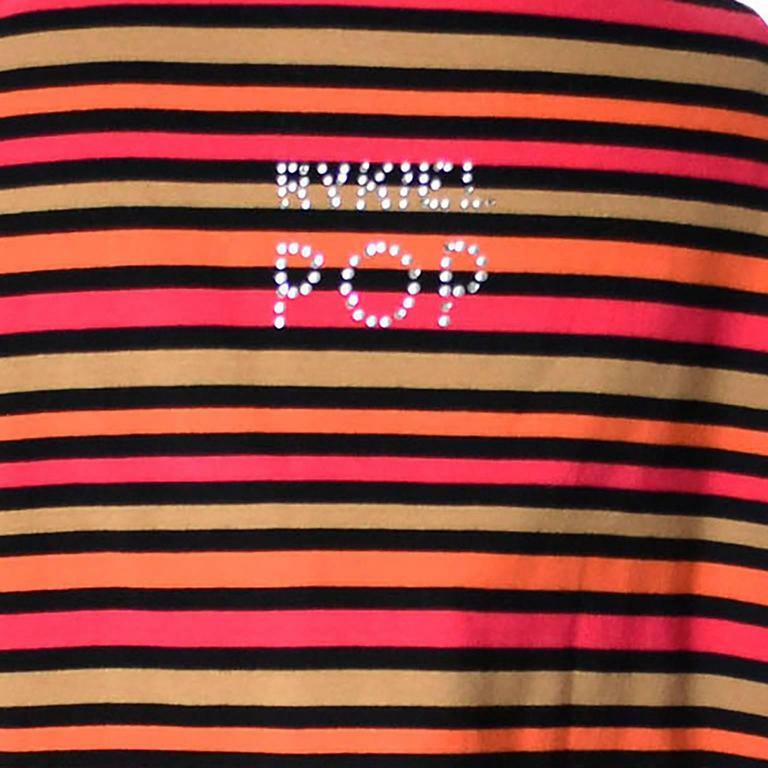 The other piece - studded with rhinestones that spell: RYKIEL POP - is a one size fits all "half top" that ties around your neck or your waist - a sort of "mock" top or sweater! 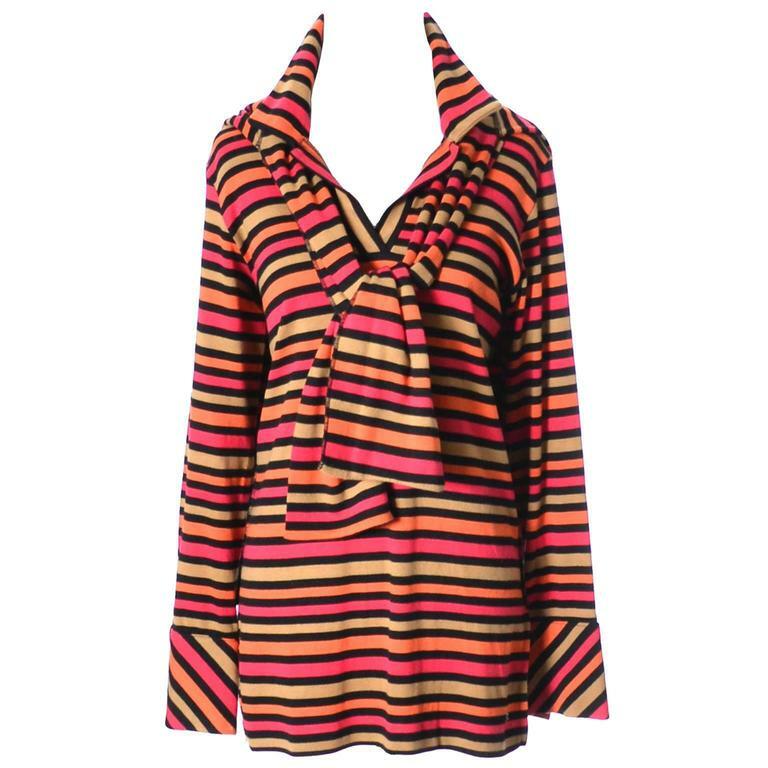 You can wear these pieces together or separately, and both pieces are in excellent condition! 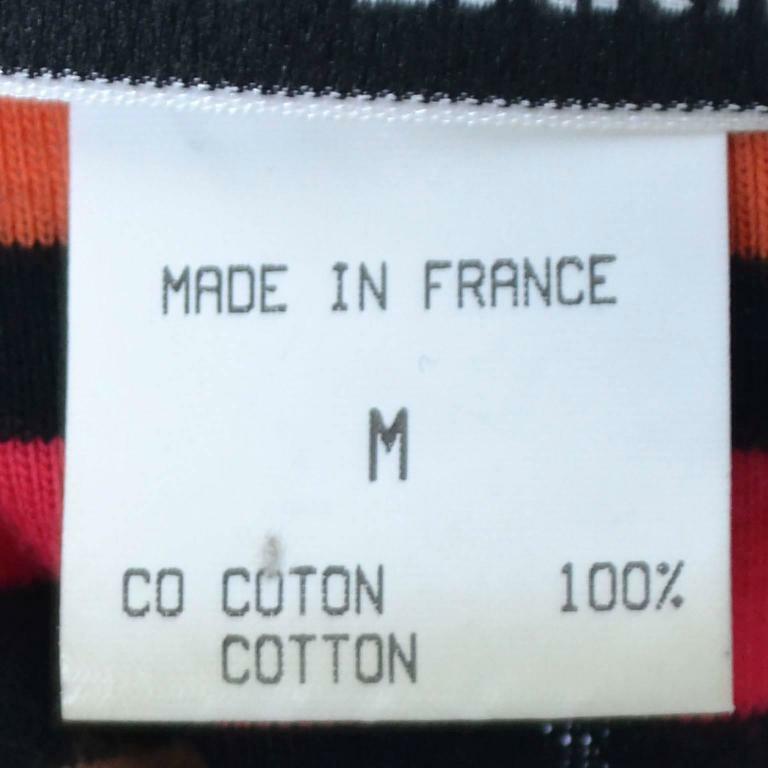 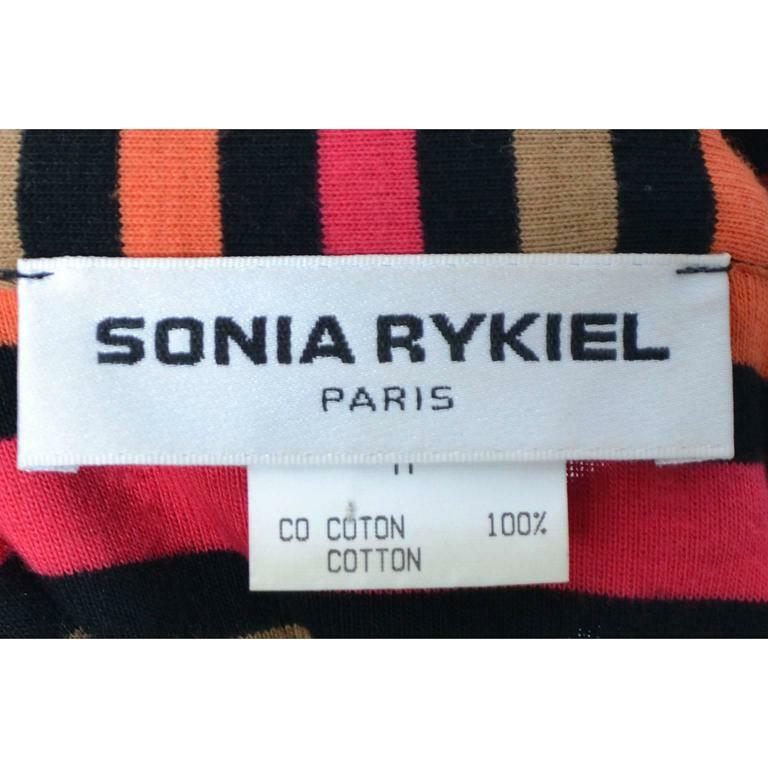 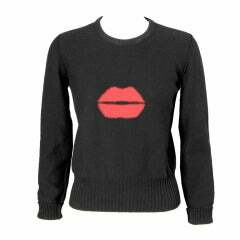 The top is labeled Sonia Rykiel Paris - (size) Medium 100% cotton and Made in France. 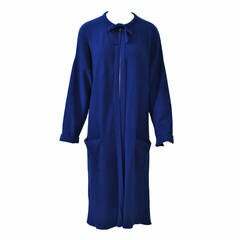 BUST: 36-38" SLEEVES from shoulder seams: 25" LENGTH from the nape of the neck: 29"
Typical Rykiel styling in this sweater coat of royal blue knit wool with tie neckline, dropped shoulders, and patch pockets. 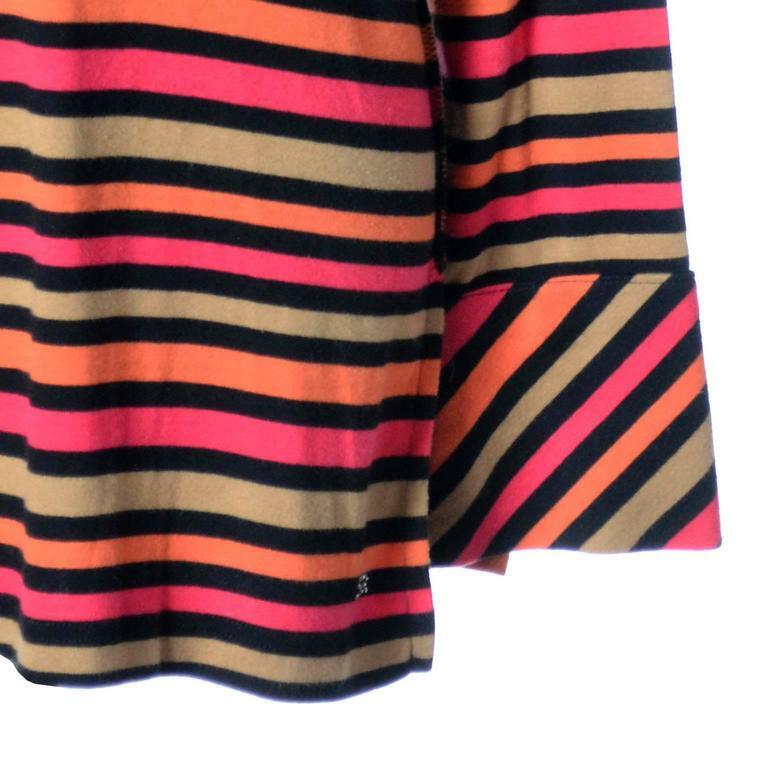 Bodice is plain knit, below is narrow ribbing.